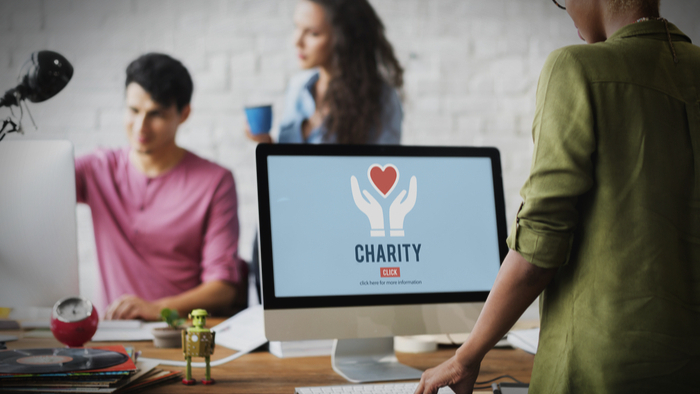 • Writing for Fund the People, Nicky Goren, president and CEO, Eugene and Agnes E. Meyer Foundation, discusses how more foundations need to understand that putting money into developing staff will strengthen nonprofit programs. • The key takeaway here is that nonprofit programs shouldn’t be seen as a separate entity to the people who run things: As Goren says, in many cases the staff ARE the program. • Read more about the importance of strengthening nonprofits through capacity building. Most nonprofit executive directors have experienced running an organization where cash is tight. In my first foray as a nonprofit executive director, I walked into an organization with unrealistic revenue projections and an operating budget tied to those projections. Like most executive directors, I believed investing in the staff of the organization and building and retaining talent were critically important, and that leadership and professional development investments were smart investments. But as an executive director struggling to make the numbers work, I viewed it as something that could be cut if necessary to stay in budget. If it was a choice between paying staff and leadership development, the answer to me was clear. This is a choice that many executive directors — especially those operating with little margin for error financially — are forced to make. They will often rationalize leadership development as important but less urgent than other expenditures, including expenditures for other types of capacity building. At the Meyer Foundation, where I currently serve as president and CEO, we have long believed in providing maximum flexibility to our grantee partners via general operating support and in dedicating funding to capacity building — including for professional and leadership development. We do not view these activities as “overhead,” but as core to any organization functioning at a high level. Funders need to get away from the notion that this type of capacity-building investment does not directly support programs. In so many nonprofits, staff ARE the program — providing the services or leading advocacy campaigns. Intentionally and explicitly strengthening leadership and staff is the work that needs to be done for programs to succeed. Read the full article about investing in staff by Nicky Goren at Fund the People. Giving Compass' Take: • Lisa Ranghelli describes how the Winthrop Rockefeller Foundation leveraged an iterative approach to increase their impact by responding to new information. • How can other organizations shift to this model? • Learn more about the importance of feedback. Over the last decade, Winthrop Rockefeller Foundation (WRF) took an iterative approach to Moving the Needle (MTN). In fact, the Foundation took stock about halfway through that period and made midcourse corrections. As one of the stakeholder interviews conducted as part of the Reflection, Analysis, Planning (RAP) process reflected: What we’ve got in the poor areas of Arkansas are people who want just as much, will work just as hard, but will need some capacity building to get to a point that they can believe and do some of the things that they want. Part of the work in this area is going to be exposing people to how good it can be so they have legitimate goals in place that they are working towards. According to an internal report about the Foundation’s analysis of its place-based investments, “As part of MTN 2.0, the Foundation recognized the importance of building the capacity of key intermediary organizations that organize, engage, and mobilize Arkansas residents in support of local and state-level policy change.” After getting feedback and reflecting on what was and was not working well, the Foundation shifted its place-based strategy away from direct engagement in select locations to investments in nonprofits that had a track record of effective community building. WRF has a strong learning culture that was key to what the Foundation and its partners accomplished throughout MTN, which no doubt contributed to MTN’s impact on prosperity, education, community strength, and nonprofit infrastructure in Arkansas. Read the full article about the iterative approach by Lisa Ranghelli at Medium. Funding is a fascinating topic, and others found these events, galas, conferences and volunteering opportunities aggregated by Giving Compass to be relevant for individuals with a passion for Funding.